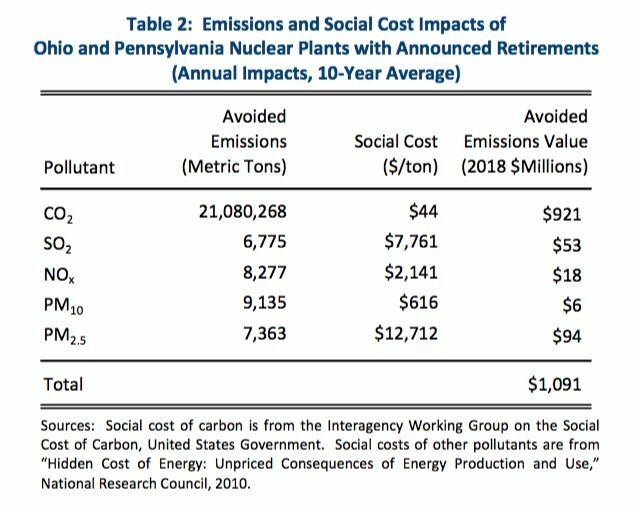 The Brattle Group releases a new analysis on the carbon and economic downsides of shutting FirstEnergy’s nuclear plants. 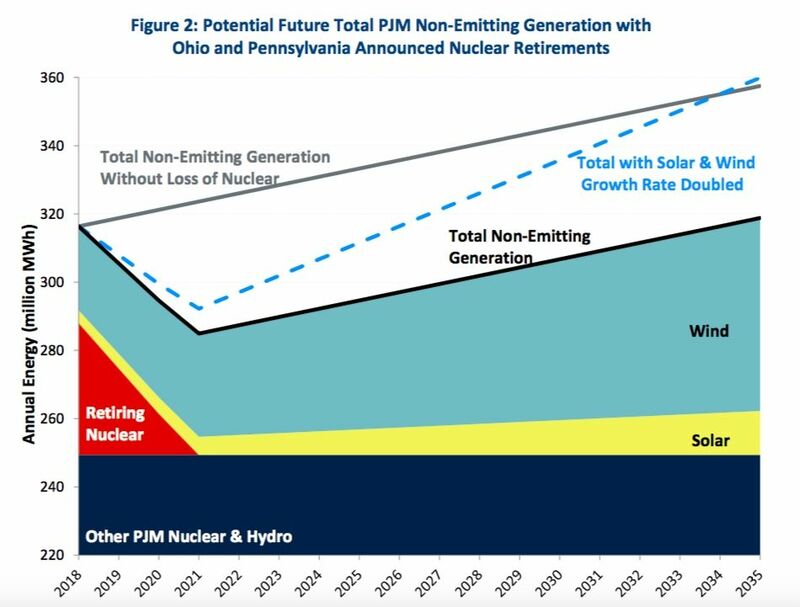 Shutting nuke plants in Ohio and Pennsylvania could be a carbon disaster. 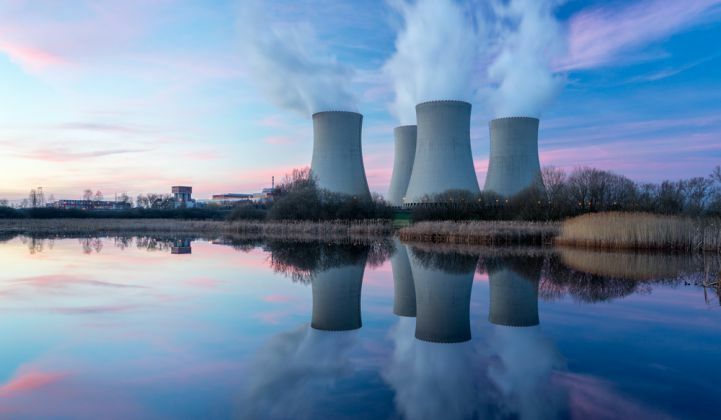 On Monday, research firm The Brattle Group released its own analysis in the wake of FirstEnergy’s planned nuclear closures, underscoring a worrisome combination of environmental and economic costs. Brattle Group’s study was conducted for industry advocacy group Nuclear Matters. It looks at the effects of closing FirstEnergy’s two Pennsylvania plants and one Ohio plant, in combination with Exelon’s Three Mile Island nuclear power plant. All four plants are losing money in the face of competition from cheap natural gas, flat demand for energy and rising operations costs. Other utilities are seeking lifelines for struggling nuclear reactors in the form of state zero-carbon energy credits and other mechanisms to reward their carbon-free generation capacity. There's no doubt that closing the four plants would leave a huge hole in the zero-carbon capacity serving mid-Atlantic grid operator PJM — 21 million metric tons annually, according to Brattle Group’s analysis. Keeping these four plants open would also help keep electricity prices lower that they will otherwise be, the analysis indicates. “With these plants operating, customers’ annual gross electricity costs could be as much as $400 million lower in Ohio and $285 million [lower] in Pennsylvania. Across all of PJM, electricity costs could be as much as $1.5 billion lower,” the report concluded. Finally, it presumes that the lost nuclear capacity will be met by a mix comprising three-quarters natural-gas-fired power and one-quarter coal-fired power. That assumption is based on PJM’s current resource mix, but it clearly underplays the potential for wind, solar and other zero-carbon resources to take nuclear's place. Losing all that nuclear energy would make it very difficult for clean energy to take its place, no matter how much more quickly it ends up coming online than it does today. After all, “the amount of nuclear generation that would need to be replaced is more than 15 times the current annual rate of renewable additions in PJM,” Brattle wrote. And replacing the zero-emission output of these four nuclear plants with zero-emission renewable generation could cost between $1.9 billion and $2.2 billion annually, Brattle predicted.